We were pleased to host a group of chough and reintroduction specialists at Paradise Park, the home of Operation Chough, to plan for the potential reintroduction of the Red-billed Chough to the coast of Kent. Meeting of chough and reintroduction specialists at Paradise Park, Cornwall. Joining us were Prof Carl Jones from the Durrell Wildlife Conservation Trust, Conservation Scientist and author on choughs Dr Malcolm Burgess, Dr Angus Carpenter from Wildwood Trust in Kent and Lawrence Sampson, PhD student at the University of Kent. The chough currently lives in isolated populations around the UK coast – in West Wales, Scotland, the Isle of Man, the West of Cornwall, Northern Ireland, plus the released group on Jersey. It was once more widespread and formerly occurred in Kent where it became extinct around 160 years ago. Items on the agenda included a presentation on the background of Operation Chough and achievements to date. The relevence of Richard Meyer’s thesis on the re-establishment of the chough in Cornwall to Lawrence’s study on the Kent coast. 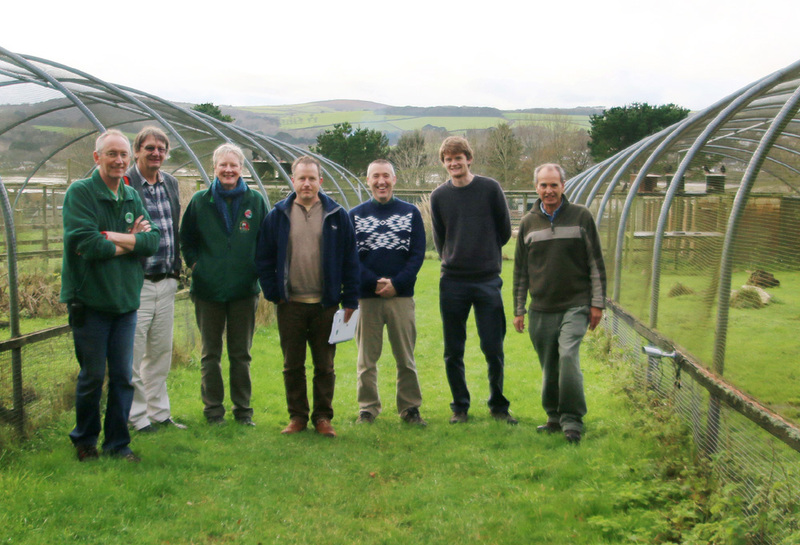 Breeding choughs and aviary design, facilities and opportunities for partnership with Wildwood. In a few years time, if research shows that suitable habitat is available and with more partners, this could be a first step to seeing choughs over the white cliffs of Dover for the first time in living memory! This entry was posted in News, Paradise Park on 30th December 2015 by Ali Hales.